BJ21.com for four years and one-time winner of the Post-of-the-Month. JPB is a professional engineer with three engineering degrees and works as a consulting engineer. My preferred blackjack game is double deck (dd). Even when "real" 3:2 single deck was available in Nevada casinos in the 1990s, I never cared for it. The pit would typically scrutinize play too closely and be very quick to take countermeasures. The six-deck game is the best route for longevity for a card counter. 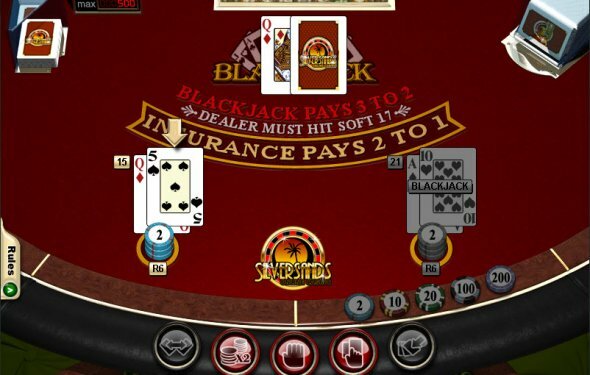 However, card counting in a six-deck game can involve long stretches (some time as long several hours) where the player has a disadvantage, or only a small advantage, and only table minimum bets are justified. With dd, even a few hours with mediocre penetration is sufficient to ensure several opportunities where the player has an advantage and big bets are warranted. Hence, my preference is for the double-deck game. When I can find a casino with dd and S17, I make an effort to play there. In the rare cases when both S17 and Late Surrender are offered at a double-deck game, I am all over it. I found one of these rare games at the Sands Casino in Bethlehem, PA.
Bethlehem, PA is about 60 miles west of Philadelphia. It is a suburb of Allentown or vice versa. My familiarity with the area was primarily from the Billy Joel song in the 80s about "living in Allentown and ...in Bethlehem there building ...iron coke and chromium steel." Apparently, Sands Casino was built at the site of the former Bethlehem Steel plant. I liked the layout-more of a giant warehouse than the windy mazes in Las Vegas. I saw an Emerils restaurant (among a few other choice restaurants), but I did not have the chance to try any of them. Double deck, S17, DAS, no RSA, late surrender, for a house advantage of 0.15%. Table minimum as $50 in the main pit and $100 in the high limit pit. Six deck, S17, DAS, and no RSA, for a house advantage of 0.35%. Table limit was $100 in the high-limit pit. Eight deck, S17, DAS, and no RSA, for a house advantage of about 0.40%. I think there were mostly $10 table minimums. The dd is among the best in the country (for the basic strategy player). In addition, I was pleased to see a decent number of dd tables open- there were two open in the high-limit area and about 6-8 tables in the main pit.